Friends, I have a helpful treat for you! 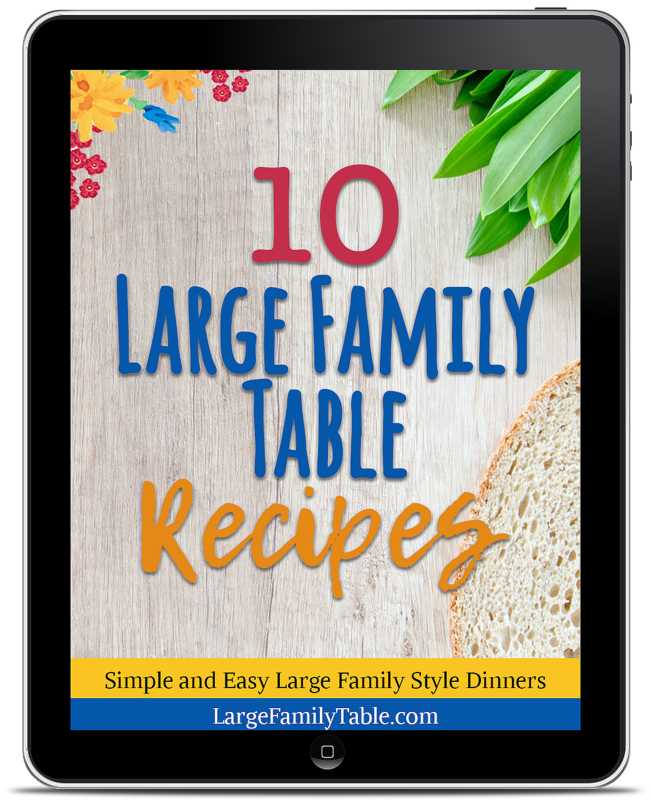 You can get a free copy of 10 Large Family Table Recipes. 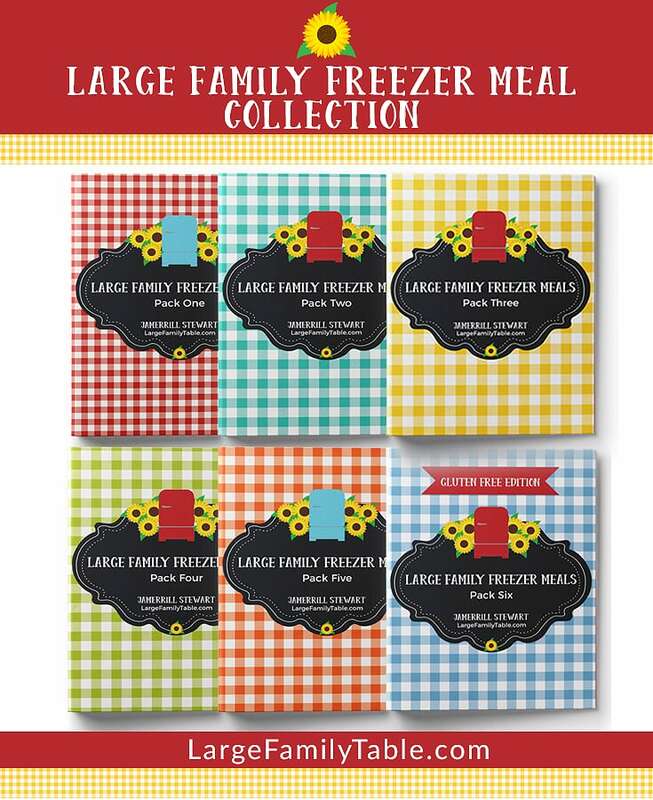 This quick cookbook includes simple and easy large family style dinners in a beautiful format. 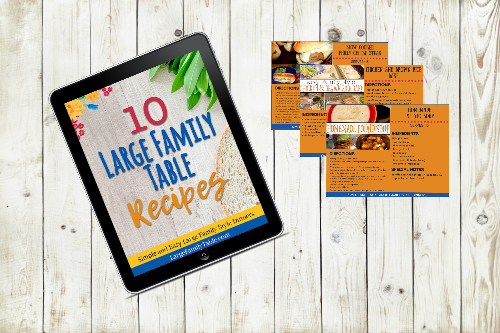 Recipes include foil packet burgers, slow cooker lasagna, slow cooker philly cheesesteaks, and several more! Click here to snag your free copy today.